Crusoe’s Retreat is shaping up for a transformative 2019. A series of physical and digital renovations designed to thrust Fiji’s “first resort” – Crusoe’s Retreat – back into the spotlight have been outlined by the resort’s management team. 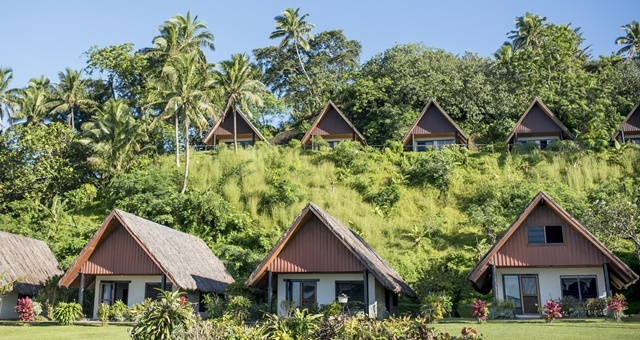 Known as “Fiji’s first resort”, the Coral Coast property plans to revamp and regenerate its digital identity to follow on from renovations made to improve the resort carried out last year. These included a brand new swimming pool installed in the resort’s classic ‘barefoot’ style and the introduction of the beachfront Taki Beach Bar & Grill, which serves casual snacks and small meals to guests right on the beach. Works lined up for this year include a refreshing of meeting and event spaces, with the impetus behind the project being the drawing of a number of large, corporate groups to the resort requiring larger event spaces. Digital upgrades will include a new website with improved online booking functionality and new branding, potentially with a new logo. Crusoe’s Retreat Business Development Manager, Karen Hind, said the resort will always be popular for honeymooners and romantic holidays but the changes were in response to a spike in interest from wellness groups and corporate team building. “Crusoe’s is known for its down to earth demeanour – and we’re conscious not to lose that – but we felt it was time to revitalise our physical space and branding to ensure the guest experience is easy and relaxing from start to finish, whether the end goal is business, pleasure or both. “Being so connected to our village is really special – it allows our guests to immerse themselves in the Fijian culture. From language lessons, guided bush hikes and fire dancing through to lovo meals, traditionally built beach bures and our team of friendly staff (many of whom live in the village), the genuine experiences our guests’ enjoy are what sets us apart from other resorts,” Hind added.